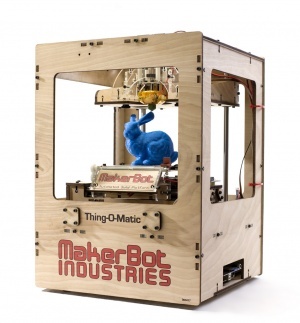 dbclunie: Video - Makerbot Replicator On Al Jazeera English! Video - Makerbot Replicator On Al Jazeera English! Over at the Al Jazeera English they have a great 38 min video about the maker and open source movement around the world as well as interviews with both Dale Dougherty founder of Make Magazine and Bre Pettis one of the founders of Makerbot Industries. It's a great piece about how others are using the technology of 3D printing, and they even do a in studio print using a Makerbot Replicator! Checkout the entire video below.